They Put This Cat In His Cage, But Then Moments Later… Just Watch What This Cat Does, WOW. Locked your keys in your car? Can’t open the pickle jar? Well, FEAR NOT!! 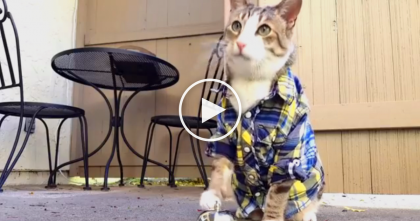 This feline is great at opening things!! Apparently her quarters at the animal shelter would not suffice, so she decided to do something about it! Using her paw, she amazingly fumbles with the lock enough on her cage so that it eventually swings open! I just couldn’t believe it! You just HAVE to see for yourself! Baby Tries To Grab His Blanket, But Now Watch The Cats Reaction When He Sees It… LOL!! 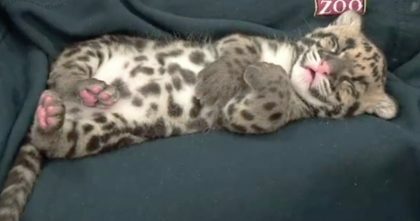 Tiny Little Leopard Decides To Take A Nap, And It’s The Cutest Thing You’ve Ever Seen…OMG! 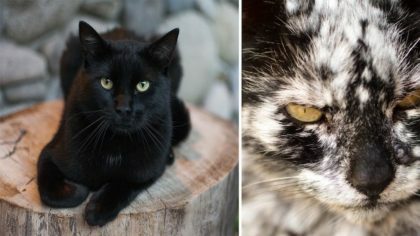 They Said NEVER To Let This Stray Cat Sit On His Lap, But Then…The Results Are TOO Sweet To Resist!